What an amazing growing season this has been! All of us here at Lower Valley Farm, Myself (Mandy), Jay, Our Full Time Farmer Kari, Our Packshed Crew Katie and Jeanne, Our Field Worker Kayty, Our Work Trade Crew Allyson and Liz, and our volunteer Leta. These folks have blessed our farm with their skilled hands. Blood, Sweat, and Tears--quite literally--and a LOT of laughter have all happened in the fields this year. From seeding, cultivating, trellising, building, harvesting, washing, bundling, bagging, and packing csa boxes, this crew has gone above and beyond. Thanks to working in partnership with a fun and hard-working crew and a wonderfully dedicated community of eaters (that’s YOU! ), we are ending this CSA season with these goals met beyond our expectations. What a gift it is for us to grow seasonal food for you. 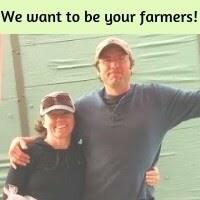 From our farm to your home, this work is incredibly rewarding and we are so thankful for each and every one of you. CSA week 20/21 Partial shares get all the same veggies in ½ - ¾ amounts. “Candy Carrots”--These are the best carrots of the year! Harvested after a few frosts sweetens these sweet carrots! Buttercup Squash--This is one of the sweetest varieties of winter squash, and the seeds can be roasted like pumpkin seeds. Delicata Squash--This creamy-colored squash with green stripes cooks up so tender that you can eat the peel. See below for a delicious way to prepare it. Directions: Preheat oven to 400 degrees. Slice off ends of squash, cut in half lengthwise, and scoop out seeds. Cut into ½-inch slices. Toss squash slices with oil and salt and pepper. Feel free to add any other spices, like smoked paprika, cinnamon, cumin + chili powder, etc. Place slices on a parchment paper-lined baking sheet in a single layer. Bake for 15 minutes, then flip over and bake about 10 minutes more, until edges are crispy and browned. Directions: Roast the beets Preheat an oven to 350°F. Put the beets in a baking dish and drizzle with the olive oil, turning them to coat well. Roast until the beets are easily pierced with a fork, about 1 hour. Remove from the oven. When the beets are cool enough to handle, peel and coarsely chop them. Cook the soup In a large saucepan over medium heat, melt the butter. Add the shallot and sauté until translucent, about 2 minutes. Add the beets and broth and bring to a simmer. Reduce the heat to low and cook for about 10 minutes to blend the flavors. Puree the soup Using a food processor or immersion blender, process the soup to a smooth puree. Adjust the seasonings with salt and pepper. Ladle the soup into bowls, garnish with the cheese and dill and serve. Serves 4.